country on your own. 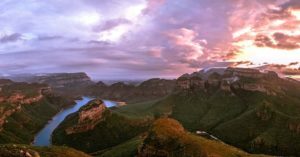 To help you on your journey we have composed a comprehensive list of the Top Five(5) Road Trips to take whilst in South Africa. The most common Road Trip in South Africa – The Garden Route. Park, most of the people use the Garden Route to go from Cape Town to Port Elizabeth. 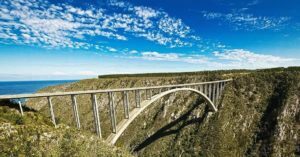 biggest bungee jumps at the Tsitsikamma National Park (the Bloukrans Bridge). 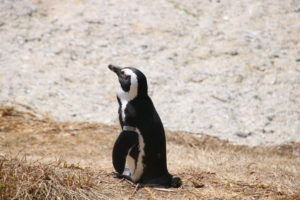 Conclude your road trip by visiting the Shamwari Private Game Reserve. 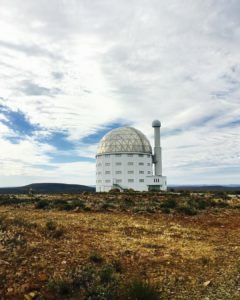 A secret yet popular road trip is the route from Cape Town, Western Cape to the Northern Cape. 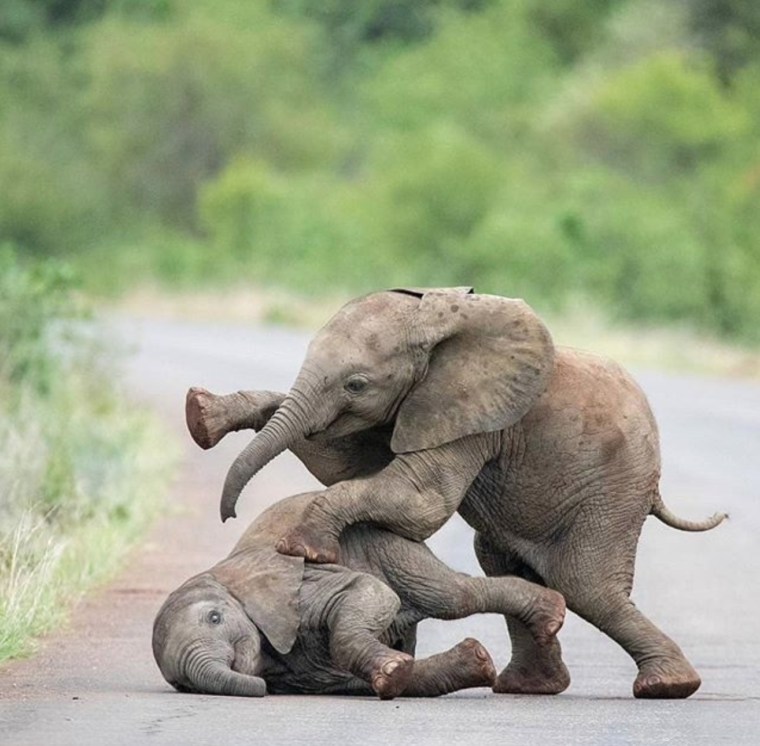 It’s perfect for anyone who wants to experience a far from ordinary African road trip. 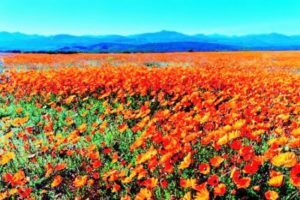 fields, make sure to ask the locals for the best place to see the wildflowers. 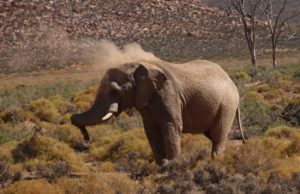 Conclude your road trip in the Kalahari Desert at the Kgaligadi Transfrontier National Park near the Namibian border where you may spot the infamous Kalahari Lions. 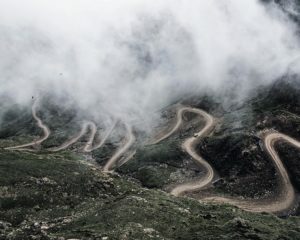 One of the most beautiful Road Trips – is known as the Panorama route in the northeast of South Africa. *Note: this road trip is time-consuming and is not suited if your time is limited. However, the picturesque view from above the Blyde River Canyon will make taking the time-off well worth it. Start your road trip from Graskop and we encourage you to stop at the majority of the look out points along the way. When you take a rest, be sure that you always take a look to your left and ride – maybe you will find a great spot that isn’t crowded by tourists. 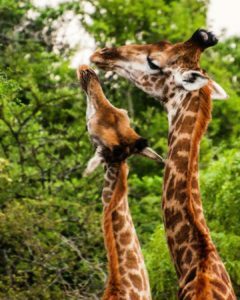 Conclude your road trip with an African adventure drive from Graskop to the Kruger National Park and treat yourself to a Safari. There can’t be a ‘top’ road trip without a Trip that doesn’t include a 4×4, right? 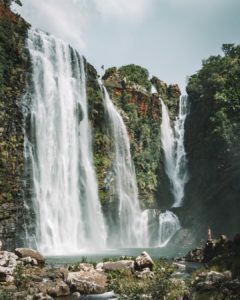 This road trip doesn’t only take place within South Africa, but you also have the opportunity to visit Lesotho, head back through the Sani Pass at Drakensberg to South Africa, visit Kwa-Zulu Natal and end up in a THIRD country, that is Swaziland. Perfect for those who are eager to go on a 4×4 adventure and eager to spot a multitude of African animals. Not suited for the faint hearted- if you have the time to spare and don’t want to miss out on anything? 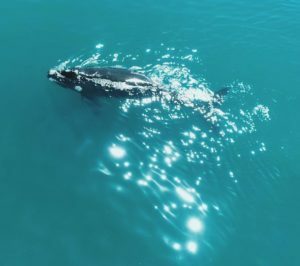 Take the risk and drive from Johannesburg to Cape Town by car?! 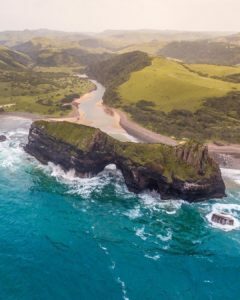 This road trip will get you through your travel bucket list quicker than you think– from Johannesburg; the Kruger National Park ; and the Blyde River Canyon to Durban, the Wild Coast in East London and Port Elizabeth. 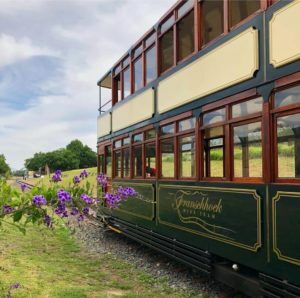 Continue with your road trip and hook onto the Garden Route, drive to Franschhoek for a Wine Tasting with the tram and conclude your road trip in Cape Town. Taking on this Road Trip will allow you to see the majority of beautiful South Africa.